Our product range includes a wide range of conveyor easy cleaner, conveyor t-cleaner and conveyor arm-cleaner. This Conveyor Easy Cleaner is a scraper strip supplied as a replacement for rubber strips, wooden planks or other simple solutions. We manufacture and supply these conveyors with suitable standards and quality measures. The stiffness of the material means that the scraper strip does not bend so a good scraping angle can be maintained throughout its service life. 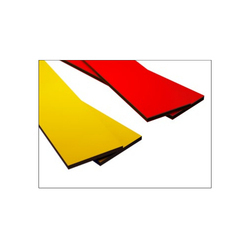 Easy Clean consists of a wear-resistant rubber with a reinforcing layer of polyethylene on both sides. These are exported at reasonable price. 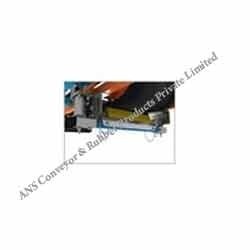 With rich industry experience, we are manufacturing and supplying superior quality of Conveyor T-Cleaner that is available in different thickness & sizes. The material used in the fabrication process provides high load bearing strength to the item. Our ranges of these are widely appreciated for their optimum performance, reliability and long functional life. These find applications in various industries and are offered in various specifications to our clients. Clients can avail these at affordable prices. We are engaged in offering a comprehensive range of Conveyor Arm-Cleaner to our clients. These are manufactured using high grade raw materials and applying sophisticated technology. Clients can avail these products in different dimensions and are tested before dispatching to our clients. They are used in various applications in many industries and well known for their longer service life and robust construction. Our ranges of these are easy and safe to operate and require low maintenance. Looking for Conveyor Cleaner ?